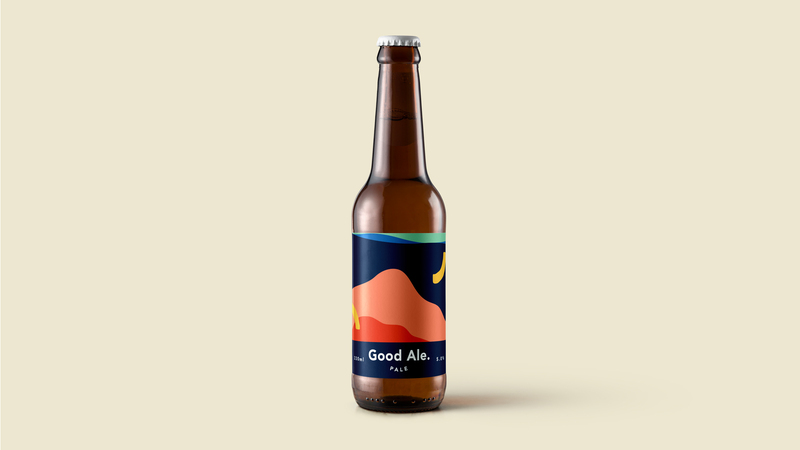 Introducing: Good Ale. The idea of Eden Brewery and Forever Projects. Why is Good Ale so good? 100% of profits go to empowering Tanzanian families living in poverty. It gives them a hand up to live on their own two feet. So you can feel good drinking it, knowing your money goes to a good place. This Pale Ale is inspired by the brightness and vibrancy of Tanzania. It takes us to sunny days lying in a hammock by the beach in Zanzibar. It’s bright, fruity and refreshing. It’s full of good vibes too, because by drinking it you’ve helped empower a Tanzanian family to live independently. Eden Brewery is bringing people together around a bottle of beer. They're committed to making the world better through changing perceptions of breweries; by brewing natural, preservative free beer, by only using green energy in their brewery and by donating 10% of all their profits to charity. 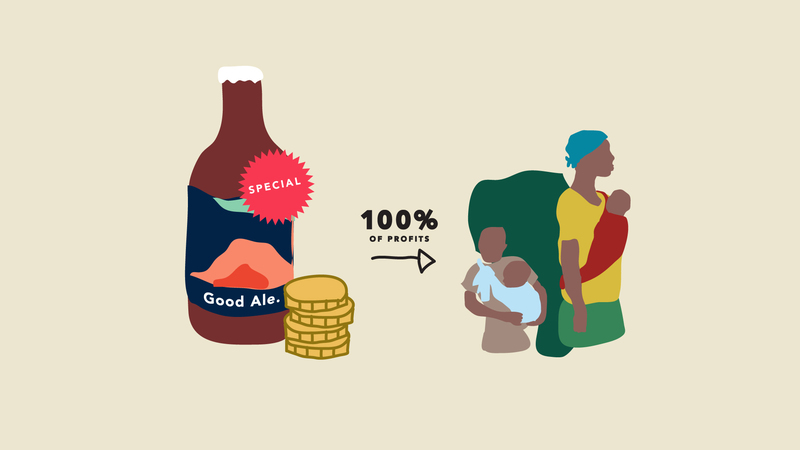 Now they're making Good Ale in partnership with Forever Projects, where 100% of profits will go directly to their work on the ground in Tanzania. But these guys aren’t simply amateurs with generous hearts, they know their beer making. With all this beer making experience under their belt, we can’t wait to taste this Good Ale. We are a tribe of people using what’s in our hands to help families out of poverty. We give a hand up, not a hand out. This happens through empowerment. We work with families who are unable to provide for the basic needs of their children - it’s life or death. After giving emergency care and nutrition for any newborn babies, we providing training and capital to help them set up a business. We’ve watched families actually move themselves out of poverty, grow their businesses, hire staff members, increase their happiness, put good food on the table and put their children through school. They find dignity and status in society, and they stand taller. But ultimately, they can raise a healthy family forever, independant of us. All our admin costs are funded by a core community, so 100% of profits can go to Tanzania and the families who need it most. Forever Projects started over a beer, when we, Mark and Ben, found ourselves in Tanzania on a humid African night, drinking our local beer of choice - Safari. In 3 months from that night, we would bring our cause to 10,000 people at a festival back in our hometown of Wollongong, Australia. At the time, we had no idea what we were going to do,or how,but we knew we wanted to inspire people to know they can make a real difference in the world, and show them how. This idea is still central today. Forever Projects believes significant change happens when curious people get together to do something. It's a heap of little things that make a big difference. It might be the beer you chose and the conversation it starts - you never know how far it will go. Generosity incites generosity. This story begins with one guy, a brewer, using what's in his hands. We’ve no doubt he'll inspire the creativity and generosity of many more. We don’t know how to end global poverty. But we start with the idea that lives can be changed one family at a time. A beer won’t make a huge difference. But it's a start. And you never know how far that could go. Where did the collaboration come from? “How about a beer?”, we joked. We had no idea that we just spoke a Forever Projects beer into reality! Sam told us he knew a guy who had just started a brewery in the Southern Highlands which was going really well and had already won a bunch of awards. We were introduced and both knew were onto something. We have a few goodies up our sleeves. You'll need to select the shipping option reward to add to your beer. Artist designed coasters - We're throwing in some cool coasters. These are designed by amazing artists Simon Perini and Caitlin O.J. and inspired by Good Ale. You'll receive a mixed pack of coasters. Swag - What better way than to show you’re a fan than by wearing the tee. Designed by Simon Perrini and screen printed by Kraken Kreative using 100% cotton tees. You'll get your choice of Navy or White in Mens, Womens or Kids. 18+ Beer can only be purchased by people over the age of 18. $3,850 is needed to press 'GO' on the brew. We'll make one batch of Good Ale. The ultimate goal is to keep the good times flowing. We'd love to partner with bars and bottle shops who use what's in their hands to continue stocking our beer. Legend! You’ll get access to a playlist curated by The Vintage Stylus inspired by Good Ale, it's guaranteed to create the good vibes + a set of 6 coasters featuring designs by really good artists - Simon Perini and Caitlin O.J. High fives! You’ll be the first to get your hands on a 6 pack of Good Ale. Add this if you need beer shipped anywhere in Australia outside of Wollongong and Sydney. Cheers! You’ll be the first to get your hands on a 6 pack of Good Ale + access to a playlist curated by The Vintage Stylus guaranteed to set good vibes for your Good Ale + a set of 6 coasters featuring designs by really good artists: Simon Perini and Caitlin O.J. You legend! You’ll be the first to get your hands on a 6 pack of Good Ale + one FP tee to impress your friends + access to a Spotify playlist curated by The Vintage Stylus guaranteed to set good vibes for your Good Ale + a set of 6 coasters featuring designs by really good artists: Simon Perini and Caitlin O.J. Winner! 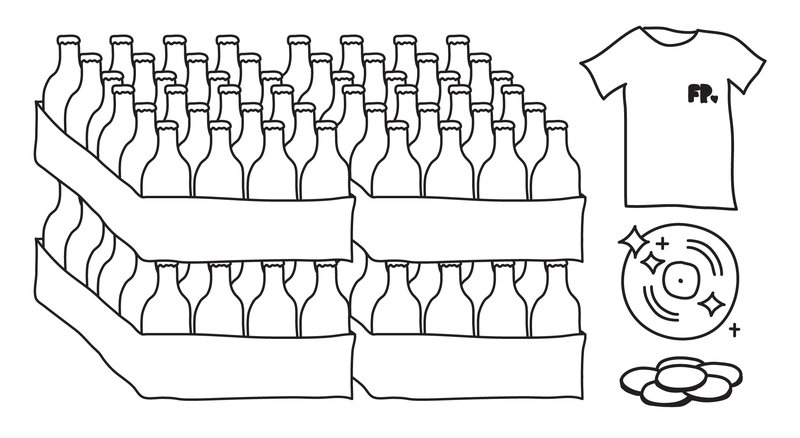 You’ll be the first to get your hands on a case of Good Ale. Let the good times roll - thanks for supporting our beer! You’ll be the first to get your hands on a case of Good Ale + access to a Spotify playlist curated by The Vintage Stylus guaranteed to set good vibes for your Good Ale + a set of 6 coasters featuring designs by really good artists: Simon Perini and Caitlin O.J. 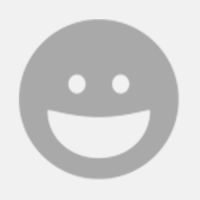 Thanks for joining the tribe! You’ll be the first to get your hands on a case of Good Ale + one FP tee to impress your friends + access to a Spotify playlist curated by The Vintage Stylus guaranteed to set good vibes for your Good Ale + a set of 6 coasters featuring designs by really good artists - Simon Perini and Caitlin O.J. Thanks for backing our beer! You’ll be the first to get your hands on two cases of Good Ale + access to a Spotify playlist curated by The Vintage Stylus guaranteed to set good vibes for your Good Ale + a set of 12 coasters featuring designs by really good artists: Simon Perini and Caitlin O.J. Let's get the party started! To get your party started, you’ll get four cases of Good Ale + one FP tee + access to a Spotify playlist curated by The Vintage Stylus guaranteed to set good vibes for your Good Ale party + a set of 24 coasters featuring designs by really good artists: Simon Perini and Caitlin O.J.